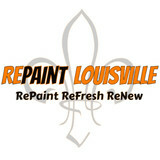 L.A. Painting Services LLC was created to service the painting needs of the Louisville area. 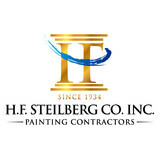 We bring 25+ years of experience working in the paint industry. Our main focus is on residential repaints where you, the customer expect and deserve the highest quality workmanship and customer service. Our team of experienced professional painters are committed to 100% customer satisfaction. Starting with our surface preparation to applying our final coat, we pay attention to any and all details of the job. We use only the industries highest quality coatings and applicators which result in the best finishes possible. Our job is not complete until the customer is completely satisfied. 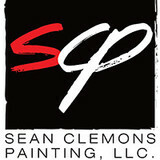 I recently relocated to Louisville from San Jose, CA where I ran a successful painting business with my father. I have 10 solid years of painting and business experience. I am proud to bring my skills and services to the Louisville Metro area. The most important aspect of any paint job is the preparation work. I tend to go overboard when it comes to repairing dings, cracks and nicks in the walls. I have an eye for imperfections… my sight goes directly to them. If I see it, then it must be repaired. I am not interested in a paint job where the customer just wants paint slapped on the walls; Karen Mann Painting provides top quality and professional work. We must do it correctly. My company name is on the Job and we want you to be satisfied and become a customer for life. Cleaning up as the job progresses is also another very important step to a successful job. Hands and knees with a wet rag or the vacuum cleaner… no problem. I often leave a home cleaner then when I walked into it for the first time. I always vacuum or sweep before replacing furniture or appliances. CertaPro Painters is dedicated to providing the highest quality painting work to our customers at competitive prices. Jobs are surveyed by an independent Quality Assurance Team in our callback program. Add a fresh look to your decor with our professional painting services. We have 35 years of experience helping people make their homes a place that welcomes them home.